Breakfast is the most important meal of the day, but it’s only true if you eat the right food. Eating right in the morning helps you to concentrate, build up vitality, maintain a healthy weight, and replenish your body and brain with nutrients and energy after a long night’s sleep. Therefore, choosing a healthy option for breakfast is extremely crucial in achieving optimal health. To be healthy and satiated, modern wheat is a common choice on breakfast tables. It provides good source of complex carbohydrates that break the fast after a night of empty stomach. However, at this day and age, most modern wheats have gone through cross-breeding and genetic manipulation due to increasing demand in recent times. The refining process causes the wheat to lost 25% of its protein and other key nutrients such as fibre, vitamin B6, vitamin E and magnesium. Compare to modern wheat, ancient grains are a rarity, but it’s more natural, generally less refined and usually eaten whole. Ancient grains have been part of the human diet for the past 10,000 years. 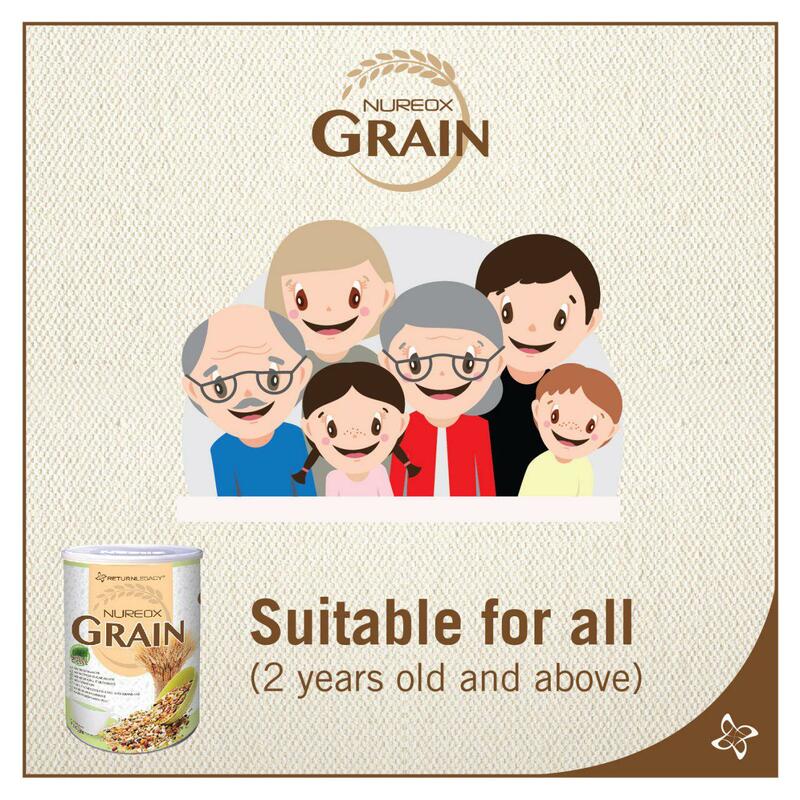 According to Nutrition Society of Malaysia, ancient grains are more nutritious, satiating, and loaded with fibre, protein, vitamins and trace minerals. Packed with natural blend of ancient grans, this fits perfectly in your on the go lifestyle while providing you essential nutrients in just a single cup. Modern wheat is one of the common ingredients of whole wheat beverages, but NUREOX GRAIN has combined both modern wheat and ancient grain to give you optimum nutrient content. In addition to having zero trans-fat, high in fibre, vitamin and protein, this offers you a high level of iron too. On top of that, wheatgrass is another star ingredient of NUREOX GRAIN. Wheatgrass contains chlorophyll, essential vitamins, minerals and dietary fibre which helps to improve immunity and needed for good health.